Everybody has different reading habits, especially when it comes to choosing your next book. Some people stick to one genre or style of book all the time and others like to mix it up. Personally, I like to mix it up. I think it exposes me to a broader range of reading material and also introduces me to new authors and genres I might not otherwise discover. One of my own reading habits is to “alternate” the genres I read. So, if I read a particularly intense thriller, I’ll pick a light-hearted romance to read next. And then I’ll dive back into an adventure book after that, and so on. I have fun changing things up and thought I’d share with you a couple of the fun romance novels I’ve read recently that you might also enjoy this Summer. I gave both of these romances 4 out of 5 Sunshines for being so much fun. From the back of the book: The Junior League of Willow Creek, Texas, is tres exclusive. Undesirables need not apply. Fredericka Mercedes Hildebrand Ware (Frede to her friends) is a member beyond reproach…until her life begins to unravel. When her husband betrays her, steals her money, and runs off to places unknown, it’s something Frede would rather keep under wraps. The last thing she needs is to become fodder for the JLWC gossip mill. And to make matters worse, there’s only one person in town who stands a chance at helping her get revenge: Howard Grout, a tasteless, gold-chain-wearing lawyer who has bought his way into Frede’s tony neighborhood. But there’s a price: She has to get his tacky, four-inch-stiletto-and-pink-spandex-wearing wife Nikki into the Junior League. The Devil In The Junior League is a riot! It’s full of Texas-sized personalities that will charm you into believing everything you read here is how it’s done in Texas. I’m from Texas so I can assure you it’s only half-true – which half is up to you to decide. There’s enough romance here to satisfy your heart, and this book is a laugh-out-loud good time. From the back of the book: Ten Things You Should Know About This Book 1. Sebastian Grey is a devilishly handsome rogue with a secret. 2. Annabel Winslow’s family voted her The Winslow Most Likely to Speak Her Mind and The Winslow Most Likely to Fall Asleep in Church. 3. Sebastian’s uncle is the Earl of Newbury, and if he dies without siring an heir, Sebastian inherits everything. 4. Lord Newbury detests Sebastian and will stop at nothing to prevent this from happening. 5. Lord Newbury has decided that Annabel is the answer to all of his problems. 6. Annabel does not want to marry Lord Newbury, especially when she finds out he once romanced her grandmother. 7 is shocking, 8 is delicious, and 9 is downright wicked, all of which lead the way to 10. Happily. Ever. After. Ten Things I Love About You is another light-hearted perfect-for-Summer romance. Fans of Julia Quinn will recognize some of the characters from her previous books, which is always fun! Annabel is smart and funny, two traits I like in my heroines, and Sebastian is surprisingly charming and not the complete slacker some people think he is. This is a fast-paced, easy to read romance that will make you smile. Do you always read the same kinds of books or do you like to switch things up from time-to-time? What books have you read recently that were just for fun? Share with us in the comments! 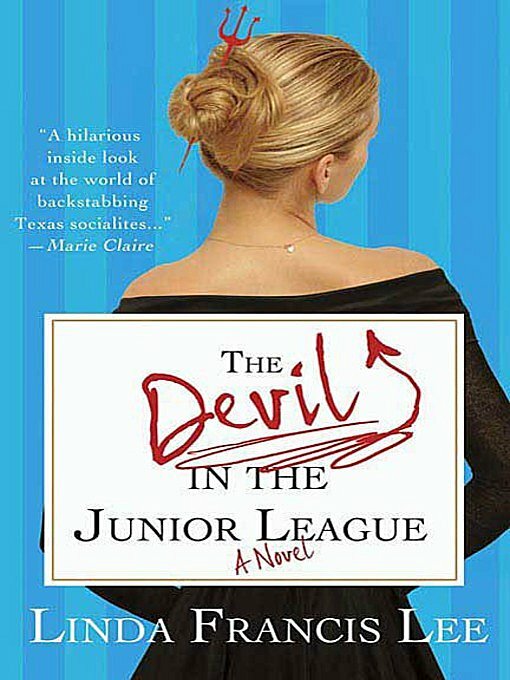 The Devil in the Junior League sounds like fun!